To me the home , the garden and the inhabitants are all one organism. I borrowed from the Biodynamic gardening teachings the idea of being part of a greater whole and integrated it in my work as a designer. When I create furniture I imagine it first within the context of space / the home, when I am in the garden I am mindful of my interconnection with every plant,rock and tree, being conscious that my actions are felt in the most outer worlds and the other way around. When I look at a home from a Feng Shui perspective I see the home and its energy web interconnecting and extending with its owner's. I have learned to walk the edge between realms to bring into the world the most desired creative expression of a place. To create Sacred Space is an art. It involves Design, Sacred Geometry, knowledge of natural building materials and techniques, Feng Shui, the keen senses of a Shaman , Intention and Ceremony . Designing a home starts with assessing its energetic blueprint. Form follows function and energy follows form. A healthy home starts with the choice of building materials and the Design. Geometry, color and sound have frequency , which used wisely can enhance a living space. In the same manor natural materials bring an uplifting and authentic feel to an environment. A home becomes a sanctuary when living with Intention and recognizing the Sacred in All Things is the norm. Reiki is a way of being , a reminder of our light, oneness and wholeness . Practicing Reiki is creating sacred space. 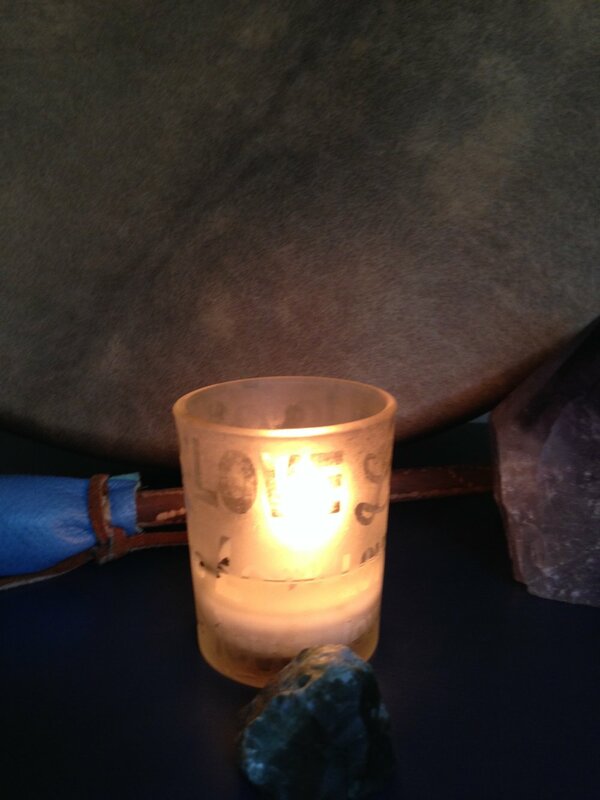 I infuse with Reiki everything I create and also share it with animals and people. ReiKi is universal life force energy , known to bring relaxation , harmonizes the energy flow through the chakras , calms the mind , soothes the body and opens up the soul. It is used equally for humans , the animal kingdom and environments .